Stop in to Accents Salon Spa to sign up today and start earning great rewards. 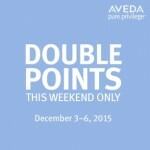 Visit Aveda’s Pure Privilege℠ site to learn more. Choose from seven tiers of pampering rewards – including salon and spa services, fine jewelry, a weekend escape and a luxury holiday.